Do you struggle to get the most out of arpeggio soloing? Do you feel limited in your arpeggio vocabulary? Do you want to create sophisticated sounds with just a few simple elements? Is it time to go beyond standard licks and drills to make real music? 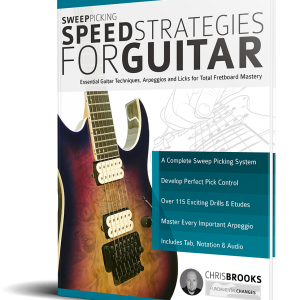 Advanced Arpeggio Soloing for Guitar – Chris Brooks from Chris Brooks on Vimeo. Instantly sound like a seasoned pro from the very first example! 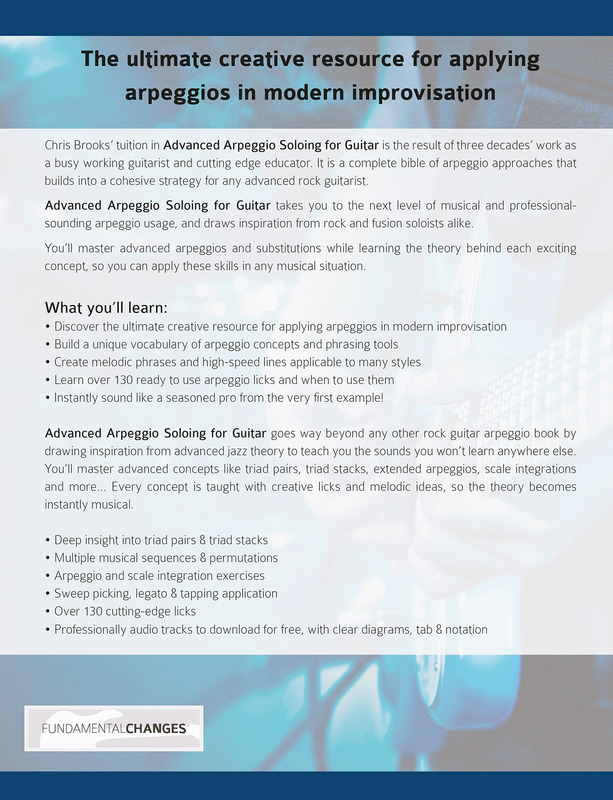 Chris Brooks’ tuition in Advanced Arpeggio Soloing for Guitar is the result of three decades’ work as a busy working guitarist and cutting edge educator. 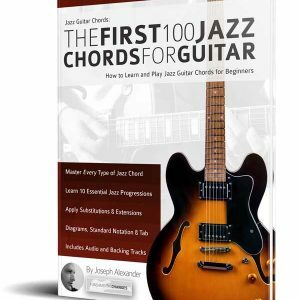 It is a complete bible of arpeggio approaches that builds into a cohesive strategy for any advanced rock guitarist. 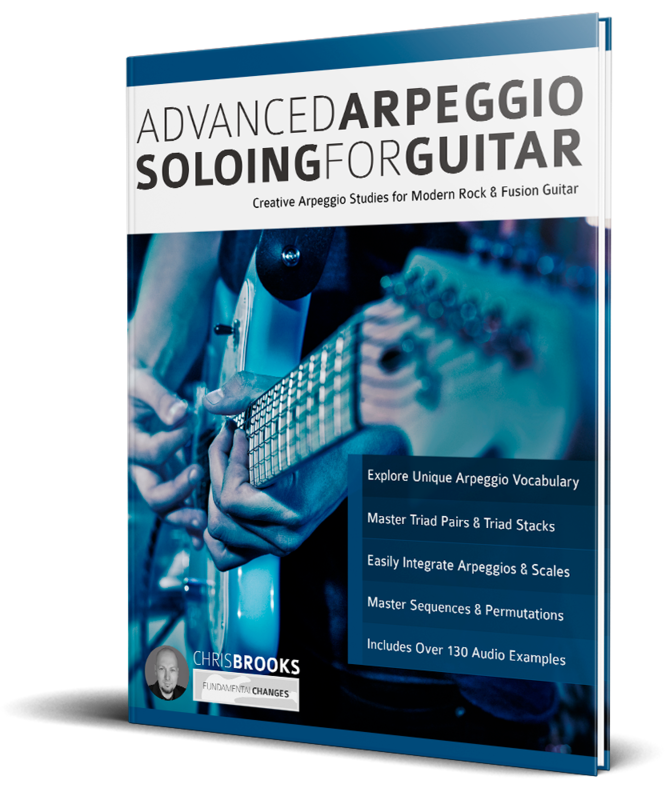 Advanced Arpeggio Soloing for Guitar takes you to the next level of musical and professional-sounding arpeggio usage, and draws inspiration from rock and fusion soloists alike. You’ll master advanced arpeggios and substitutions while learning the theory behind each exciting concept, so you can apply these skills in any musical situation. Every concept is taught with creative licks and melodic ideas, so the theory becomes instantly musical. Are you stuck in a musical rut and looking to get more creative with guitar arpeggios? Shred guitar virtuoso Chris Brooks is here to show you how to take even the most humble triad and give it new purpose. He’ll teach you how combining arpeggios can evoke modal and exotic scale sounds to create a truly personal guitar solo. You’ll also learn how triad stacking can enhance basic harmony to make you sound hipper and ignite your audience. There’s exclusive insight and cutting-edge material on dynamic control, upper extensions, directional sequencing, scale integrations and much more. 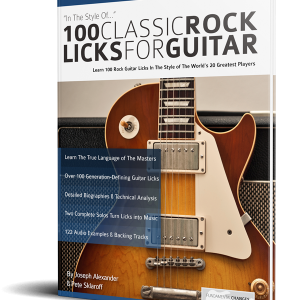 With over 130 licks and studies forming a comprehensive guitar method, Advanced Arpeggio Soloing for Guitar will expand your vocabulary, multiply your melody, accentuate your arpeggios and turn you into a creative, experienced improviser. 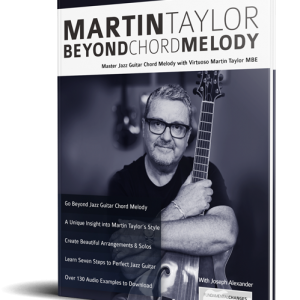 Take the next step in guitar education and buy it now.